Pray for open hearts to God's Word, as we minister in churches. Pray for new meetings. Currently we are scheduled through the third first week of October. Pray for our health, as both of us have struggled with several health issues. Seems to be the season for it! Pray for our ministry team in Peru, that the Lord would continue to prepare those with whom He would have us work. *Much needed items for our travel trailer, such as: new propane hoses (no leaking!!! ), tire covers for the trailer, water-pressure regulators, filling our propane tanks…and the list goes on! 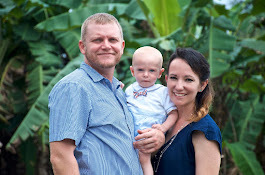 Praise the Lord for continued financial gifts, one of which has allowed Becky to begin her Masters in Biblical Counseling program, as well as enrolling in the Missionary Medical Course this October. Praise the Lord for hundreds who have committed to pray for us daily. We don't take this lightly and are so grateful for this most-worthy gift.